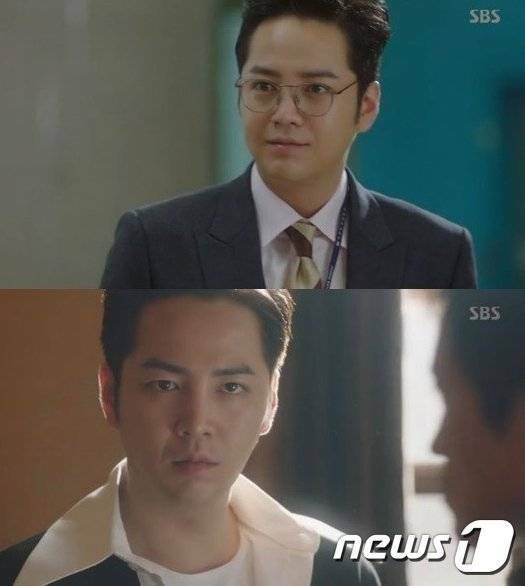 On the final episode of the SBS drama "Switch - Change The World", Sa Do-chan (Jang Geun-seuk), investigator Baek Joon-soo (Jang Geun-suk), and Oh Ha-ra (Han Ye-ri) finally got Geum Tae-woong (Jung Woong-in). Geum Tae-woong visited Jeon In-tae in search of something valuable that he could exchange with his bonds if he had to run away and Jeon In-tae suggest the White Star. Through secret deals, Geum Tae-woong obtained the White Star for 200 billion won. However, it was a fake. Geum Tae-woong was furious when he found out that it was a trap. Oh Ha-ra got evidence that Geum Tae-woong killed Sa Ma-chun (Son Byung-ho) and arrested him. In the end, Baek Joon-soo used the USB as evidence to prove Geum Tae-woong guilty. He was sentenced to capital punishment and cried tears of regret in prison.